Personal Injury Practice Areas | WM Andrew Wills II P.C. Personal Injury Practice Areas at Wills Law, P.C. Colorado Springs Personal Injury Lawyer Wm Andrew (“Drew”) Wills II has more than 30 years’ experience helping injured people successfully navigate the civil justice system. Known for his professionalism, integrity and record of success, Drew is committed to providing each of his clients with effective advocacy so they can secure the financial recoveries – and justice – they deserve. Applying his deep understanding of personal injury law to protect his clients’ rights while helping them maximize their financial recoveries. With Colorado Springs Personal Injury Lawyer Drew Wills II in your corner, you can expect to have a highly competent attorney who listens, treats you with respect and keeps you informed about the progress of your case. You can also expect superior representation while Drew works relentlessly to help you secure the best results possible. Meanwhile, you are invited to continue checking out this page (and the rest of our site) to discover more about how Attorney Drew Wills II can help you with various types of personal injury claims. You never plan for an auto crash to happen. If you drive (or ride in) a car regularly, however, statistics show that you will probably be in at least four car wrecks over your life time. If or when these crashes cause serious losses and injuries, you’ll need a skilled lawyer like Colorado Springs Attorney Drew Wills II on your side when it’s time to seek compensation. The devastation caused by a truck accident can be intensified by knowing that preventable negligence caused the wreck. Whether the negligence of a truck driver, a trucking company and/or another party caused your truck accident, you can count on Colorado Springs Attorney Drew Wills II for help pursuing justice. The excitement and freedom that can come with riding a motorcycle can disappear when wrecks happen. Figuring out who’s responsible for causing a motorcycle crash, however, can be fundamental to helping injured riders start to pick up the pieces and restore their lives. When you need answers about who’s liable for your motorcycle accident – and what you can do to hold them responsible, it’s time to contact Attorney Drew Wills II. Regardless of how careful and attentive you may be when riding a bike, you cannot control the actions or judgment of others sharing the road with you. When others on the road fail to look for, see or yield the right-of-way to bicycle riders, serious (if not deadly) accidents can happen. Injured riders can rely on Colorado Springs Lawyer Drew Wills II when it’s time to determine liability, pursue a bicycle accident claim and seek compensation for their losses. Pedestrians are some of the most vulnerable travelers on the road. They also tend to be severely, if not fatally, wounded when traffic accidents occur. Attorney Drew Wills II understands how catastrophic pedestrian accidents can be – and how critical it is to fight for justice and financial recovery after pedestrian accidents happen. Severe injuries can affect nearly every part of your life. While physical impairments can restrict your activity or limit your ability to earn a living, the psychological impacts can affect personal relationships and your overall quality of life. Other serious injuries affecting the internal organs, bones, muscles and/or nerves. The devices, appliances and even medications you rely on may not be as safe as you’ve been led to believe. When any consumer or medical product harms you, don’t hesitate to contact Attorney Drew Wills II to find out if a manufacturer (and/or another party) may be liable for compensating you. Slippery floors, broken elevators and missing handrails are just a few ways that properties can present risks to visitors. When these risks cause accidents and injuries, the negligence of property owners (and possibly others) may be to blame. Attorney Drew Wills II has spent decades helping people who have been injured on others’ properties. Whether your accident happened in a retail, private or public setting, Drew is ready to point out your options for financial recovery. Obtaining financial support to pay for outstanding medical bills, funeral costs, burial expenses, etc. Colorado Springs Lawyer Drew Wills II has helped many families pursue justice and compensation in the wake of deadly accidents. While he is completely aware that money can never replace a loved one, Drew also knows that fighting for justice via wrongful death claims can be important to overcoming devastation and restoring lives. Hospital negligence, which can involve anything from unsanitary or unsafe premises to negligent hospital staff and harmful hospital policies. Set Your Claim Up for Success: Contact a Colorado Springs Personal Injury Lawyer at Wills Law, P.C. 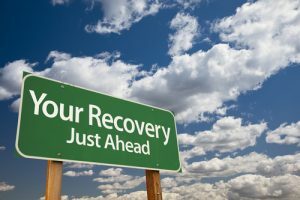 Get the information and advice you need to get on the path to recovery. Call Colorado Springs Personal Injury Lawyer Wm Andrew “Drew” Wills II at (719) 633-8500 or email the firm (via the form on our Contact Page). In most cases, initial consultations are free. From offices based in Colorado Springs, Attorney Drew Wills II is proud to represent clients throughout El Paso County and Colorado.